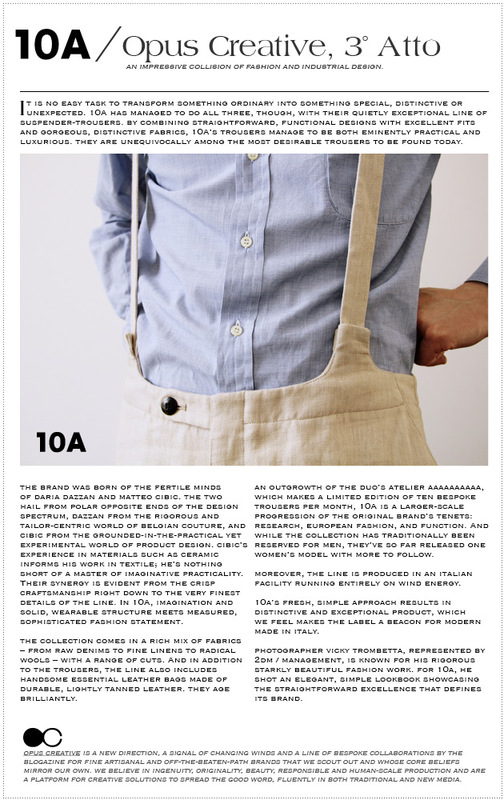 Opus Creative’s third act bows today: 10A Suspender Trousers Company, a new paradigm for Made In Italy. And the curtain rises on Opus Creative’s second act, launching today with boutique purveyors of fine and customisable cashmere, Neroli Cashmere. Together with exceptional, young, artisanal brands, The Blogazine crafts high-quality, bespoke collaborations to creatively amplify and tailor their distinctive messages and brand qualities. For this edition, we called on the ethereal, atmospheric intuition of 2DM‘s Karin Kellner to bring the aura of Neroli Cashmere to life. And so a new chapter is opened. 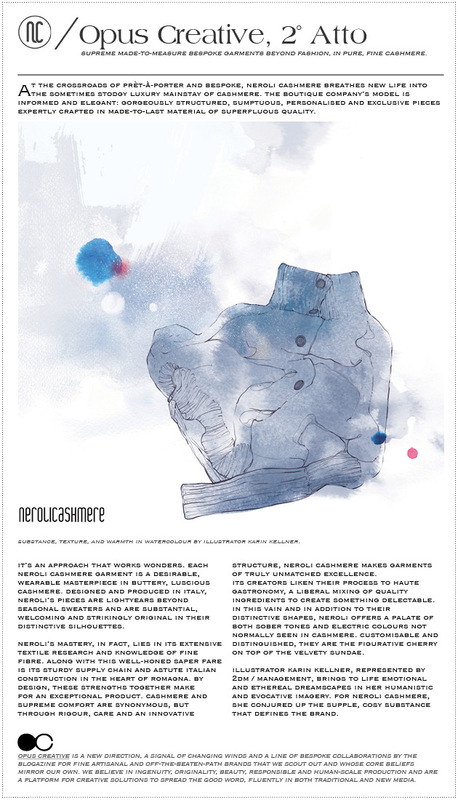 The Blogazine, together with exceptional, young, artisanal brands, crafts high-quality, bespoke collaborations to creatively amplify and tailor their distinctive messages and brand qualities. Our inaugural collaboration, launching today with SALAR, is the first in a lofty line.